a case study has been carried out. treated with mixtures of medicinal herbs. Genetic tests revealed expanded allele of 22~25 CAG repeats at the spinocerebellar ataxia type 6 locus. Head MRI revealed a typical atrophic image in cerebellum. vertigo, tremor, or ataxia and are expected to exert their specific effects. 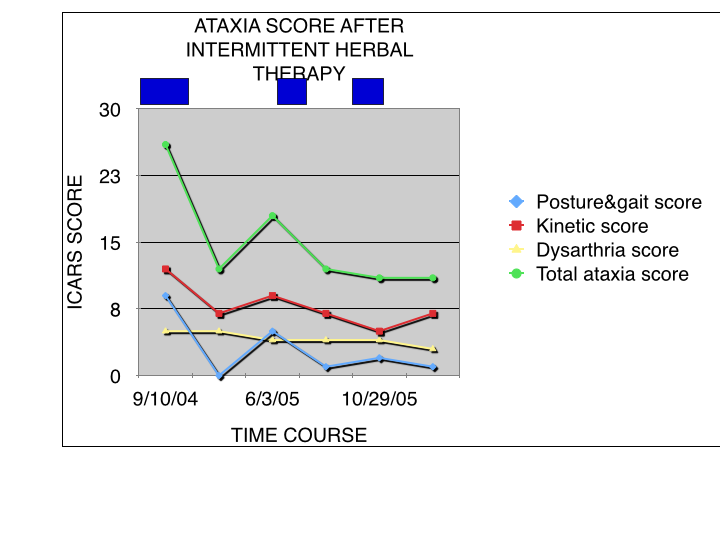 Cooperative Ataxia Rating Scales (ICARS) scores. disease of CAG repeat expansion mutation has been attained with the medicinal herbs.